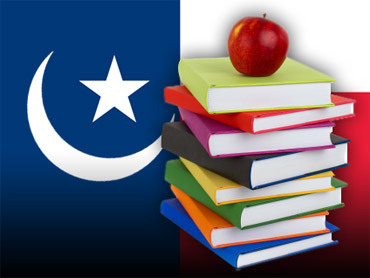 The resolution also claims "more such discriminatory treatment of religion may occur as Middle Easterners buy into the U.S. public school textbook oligopoly, as they are doing now." Two Republicans broke from their party to vote with the Democrats. Two Democrats - Mary Helen Berlanga of Corpus Christi and Rene Nunez of El Paso - were absent for the vote. The initial vote on the resolution was 7-6, but the board later reconsidered the measure. The second vote was 7-5 after a Democratic board member left the meeting. The measure was suggested to the board this summer by Odessa businessman Randy Rives, who lost his Republican primary bid for a seat on the panel earlier this year. Members of a social conservative bloc of the board then asked Lowe to put the resolution on this week's agenda. During public testimony, which included comments from activists as well as a handful of parents, Jonathan Saenz, a lobbyist for the conservative Liberty Institute, argued that the board was "doing the right thing ... to prevent any type of religious discrimination or treat any religion in a way that's incomplete." "The Board's mission, and Texas' future, is ill-served when the board chooses to use its limited meeting time to discuss and vote on discriminatory and politically motivated measures, such as this proposed resolution," said Frank Knaack, of the American Civil Liberties Union of Texas. Social conservatives control the 15-member board for now, although the landscape is set to change after one member of the bloc lost his primary election bid and another chose not to seek re-election. The board in recent years has become a battleground for social conservatives and liberal watchdogs, each accusing the other of imposing ideological agendas into what about 4.8 million public school students learn in Texas classrooms.